Help ensure water is as clean as possible every time you fill your hot tub by using the Clean Screen pre-filter. Attach it to a garden hose to filter out organic contaminants, metals (such as copper and iron), and tannins before they are introduced into the spa water. 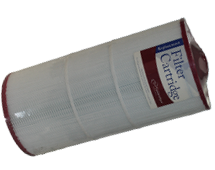 Replacement filter cartridge for Hot Spring Spas.